The purpose of the AALL/Bloomberg Law Continuing Education Grants Program is to encourage program development and promote sharing among AALL entities. 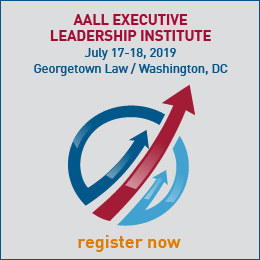 These procedures will be reviewed and revised in order to meet the goals of AALL's Continuing Professional Education Program. Grant requests for educational programming will be accepted electronically and reviewed by the Continuing Professional Education Committee. The AALL/Bloomberg Law grants program is open to AALL HQ, chapters, SISs, member institutions, caucuses, and individual AALL members. The grants can assist in providing ongoing quality continuing education programming outside of the AALL annual meeting. The programs that are supported by the grant must be able to be distributed to a wider audience. The grant can assist program content (speakers, venue, etc.) or the method of a wider distribution (podcast, etc.). The grant funds cannot be used for food, gifts or purchases not related to the actual program. The grant funds cannot be used to support programs that promote vendor products. Those applying for grants will develop the educational content, identify relevant speakers/presenters, and propose alternative delivery options, including venue for in-person programs. Please contact Celeste Smith, AALL education director, for program proposal assistance. In addition, please download the Frequently Asked Questions and the Program Development Checklist for assistance. If you are interested in submitting a proposal for a webinar, please use the webinar proposal form instead. Please fill out the proposal form completely, and with as much detail as you can provide, noting that the description of the program content should be 100–400 words. Identify a point person/grant coordinator and backup to be responsible for meeting grant requirements. Post the program details on the AALL program calendar. Send completed program materials to the AALL archives. Afford AALL members the same registration rate as extended to members of the sponsoring entity. 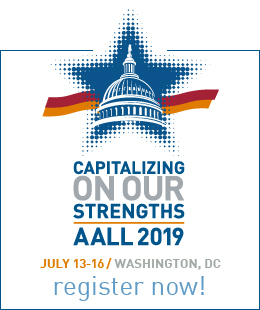 Recognize AALL as a sponsor in all marketing (including email and other electronic announcements of the program) and registration materials. The following tag line must be used with or without the AALL logo: This program is made possible by a grant from the AALL/Bloomberg Law Continuing Education Grants Program. Replicate the program so that it can be shared by others within AALL (via podcast, webcast, streaming video, in person in multiple locations, or other appropriate method). Obtain speaker/copyright releases from any speakers since broad distribution of the program is required. Work with AALL education director and other staff (if needed) on project scope, budget/financial needs and support needed to ensure a successful program. Submit a final budget along with receipts within 30 days of the conclusion of the program. Submit a final report 10 business days after close of program.